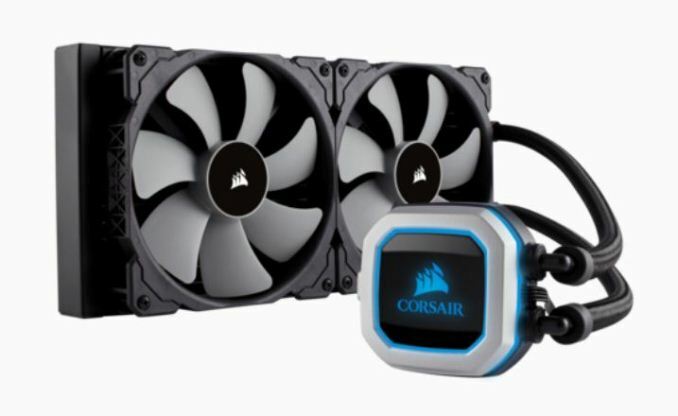 Corsair has released a new addition to its Hydro Series PRO closed loop coolers with the H100i PRO. The newest member of the family brings with it a 240mm radiator as well as using the ML series magnetic levitation fans said to deliver high airflow and static pressure at low noise levels. The PRO series also includes a Zero RPM mode to eliminate fan noise at low temperatures. This addition brings the PRO series to three SKUs with the H115i (280mm radiator) and their flagship H150i PRO (360mm radiator) already available on the market. The Corsair Hydro Series Pro was brought to market with the intent to be better looking and quieter than any of their coolers have been. The PRO series has compatibility for the latest Intel and AMD Ryzen based CPUs (more details in the specifications below). The pump has an updated aluminum bezel with a bead blasted finish improving on the look over the other lines. The bezel includes RGB lighting around the edge and top as well as the Corsair badge in the middle which gives the device a nice glow when mounted on the CPU. The RGB lighting can be controlled through the iCue software. 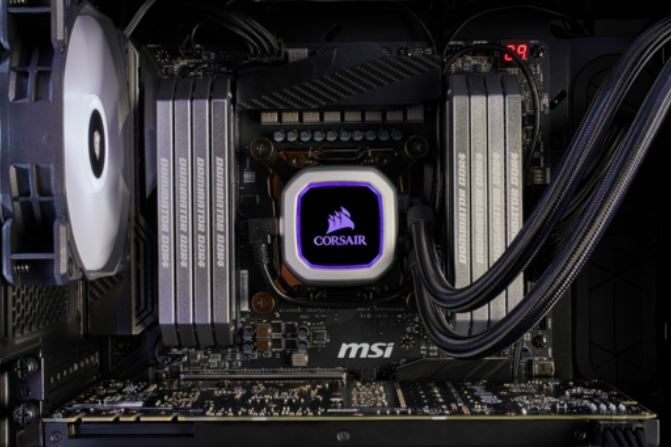 In addition, Corsair has also redesigned the radiator and uses an aluminum inlay for the logo for a more premium appearance than other series. The quiet part comes in part due to the ML series magnetic levitation bearing fans to prevent friction and is said to receive quieter operation across its full RPM range in return. The PWM controlled fans can run from 400 RPM to 2400 RPM for quiet or maximum cooling capabilities. Adding to the quiet nature of these CLC is Corsair’s first implementation of a Zero RPM mode where the unit’s fans are stopped until it reaches a certain temperature. Temperature, fan, and pump speeds are controlled through the iCue software as well. Pricing was not listed, but since the H115i PRO is listed at $139.99 ($129.99 at Amazon), the H100i PRO will likely be priced a bit less. The new H100i PRO units are “shipping out ASAP” so they should be available soon.